Matching tire air pressures is critical in dual assemblies. A mismatch of 5 psi can change the tire circumference, and over 100,000 miles would be equivalent to dragging the under inflated tire 246 miles. Toe alignment greatly affects tire wear since a setting just 1/16 of an inch off will make the tires want to travel sideways about 150 feet every mile. Toe-in is when the tires are pointed towards each other; toe-out is when the tires are pointed away from each other. Camber is the tire’s tilt inward (negative) or outward (positive) when viewed from the front and has significant impact on handling and shoulder wear. Caster is the angle of steering axis tilt when viewed from the side and while it does not affect wear, it does affect the vehicle’s handling and tendency to track straight down the road. Mis-aligned drive and/or trailer axles will cause “dog-legging” and pulling of the vehicle, resulting in steer tire irregular/rapid wear. As the vehicle is pulled to the side by the mis-aligned axles, the driver over-steers to compensate, resulting in toe-out-on-turns. The effect is that the inside wheel /tire turns more sharply than the outside when turning the steering wheel away from center. The 1/8″ rule – drive and trailer axles should have less than 1/8″ variance parallel to each other and perpendicular to the frame/chassis. Many diesel engines typically develop 1,200 to 1,300 foot-pounds of peak torque at 1,300 rpm. “Big Bore” diesel engines with upwards of 900 cubic inches of displacement in an in-line 6-cylinder can generate upwards of 2,000 foot-pounds of torque, this increases stress, deflection, and deformation of the tire, resulting in reduced tread life. When a fleet purchases new vehicles, check the torque rating of the new truck vs. the old trucks currently in the fleet, and make a note on any tire mileage records. “Tough” applications have a large impact on tire wear when compared to over the road applications. Examples of such applications are: high scrub applications, Inter-city, diminishing loads, heavy loads, waste haul, construction, mining, logging, and other sever service related. AcuTread Alliance Group reports its FED 20/32nd Drive Tread is now verified under the provisions of the Federal Environmental Protection Agency (EPA) SmartWay program. SmartWay verification is pending for AcuTread low-profile wide-base drive and trailer retreads. AcuTread Alliance Group manufactures and distributes tires from locations in Alabama, Arkansas, California, Florida, Illinois, Kentucky, Michigan, Ohio, Tennessee and Virginia as well as through a network of dealer associates. Sumerel Tire is the first AcuTread manufacturer to introduce the SAT trailer tread for Regional Trailer and Spread Axle use. Bob Majewski, President of Sumerel Tire, said, “This all-position tread was designed for exceptional wear, traction, rock rejection and high scrub applications. This is accomplished by its tapered tread grooves, increased tread volume and rounded shoulders. All AcuTread tires provide matched uniformity while in a dual wheel application for even wear and our appearance is second to none. 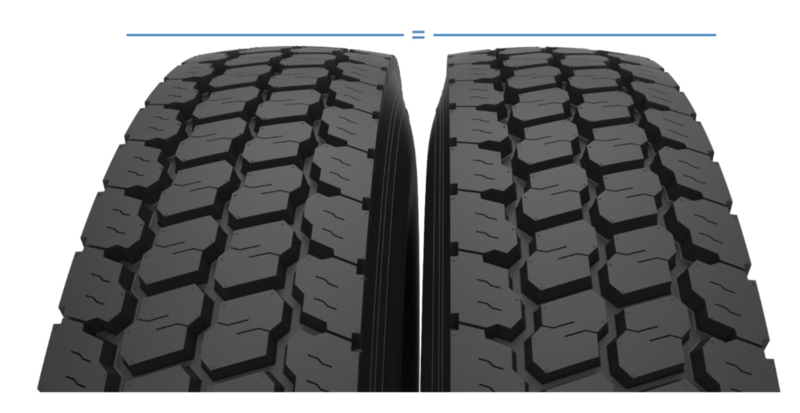 We have built the line to handle all the diameter differences we are seeing with the Chinese casings in today’s market.” The SAT tread design will be available in LPR22.5, 11R22.5, LPR24.5, and 11R24.5 tire sizes. AcuTread announced today that its STT retread is now verified under the provisions of the Federal EPA SmartWay program. The AcuTread STT is the first, and as of this date, the only SmartWay verified mold cure retread. SmartWay verification is pending for AcuTread low-profile wide-base drive and trailer retreads, as well as conventional dual-application drive tire retreads. 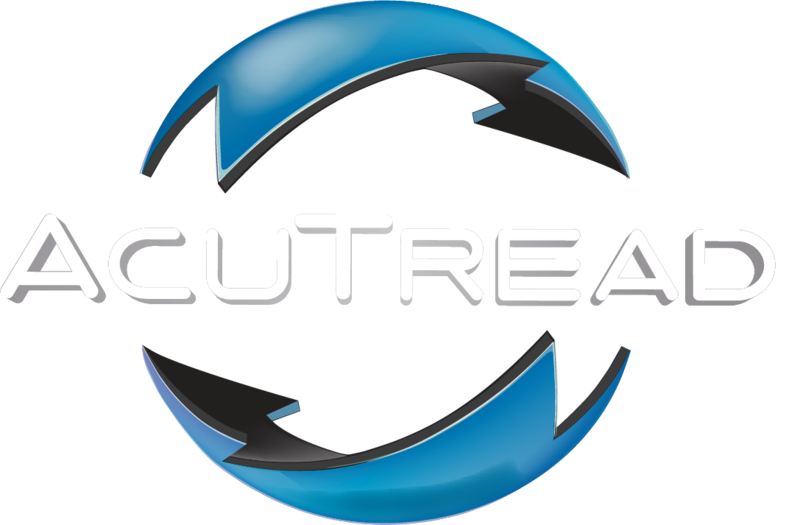 “The precision manufacturing process and operational advantages of mold cure retreading are now available in a SmartWay verified retread,” said President of the AcuTread Alliance Group, Bob Majewski.